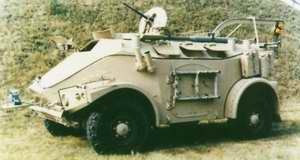 Military branch of the French Group PEUGEOT CITROEN, PANHARD specialises in the development, production and support of military light armoured wheeled vehicles. 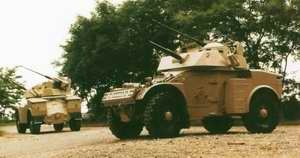 PANHARD supplies French Forces and 47 foreign countries. 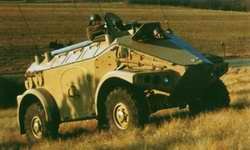 The PANHARD VBL 4 x 4, 4 tonnes, NBC, extremely mobile on cross-country or in mobile area, amphibious, air droppable, has been ordered by 15 countries (2,300 VBL) including France and 3 AGCC countries.VBL is used intensively worldwide, under all type of climatic and geographic conditions. VBL has demonstrated on the field its full compliance with both conventional or peace-keeping operations roles. 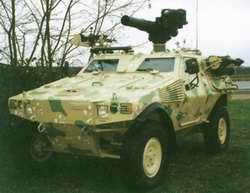 Numerous versions have been developed and delivered, including reconnaissance, anti-tank (short to long range), anti-aircraft (Mistral), command and liaison.